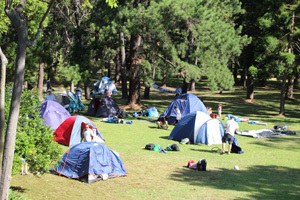 The picturesque grounds of Villa Maria monastery, Hunters Hill, were inundated by a small sea of tents on Nov 29 for the first 'Fathers-and-Children'.camp-out by Villa Maria primary school. The novel venture enabled Dads to spend unique and quality time with their children. 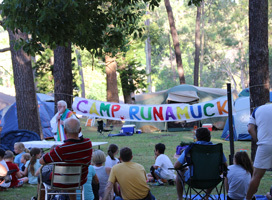 Campers enjoyed an outdoor Mass with parish priest, Fr Kevin Bates SM, followed by barbecue and songs with S&L visiting priests and a tasteful 'Cinderella' pantomine from the Dads. Marists throughout the world mourn the passing of Marist Sister Doreen McOscar SM who died peacefully on Nov 29 at St Anne's Nursing Home, Hunters Hill, aged 100. Sr Doreen's numerous decades of Marist life spanned dedicated years of teaching and educational leadership. 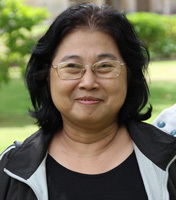 She was the founding principal of Cerdon College, Merrylands, NSW. 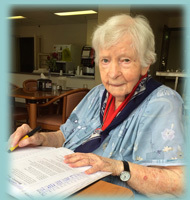 The Marist Province of Australia joins the Truscott family and the civic community of Ashgrove, Qld, in mourning the passing of Mrs Meta Truscott, 97, diarist extraordinaire, historian and veteran Lay Marist. 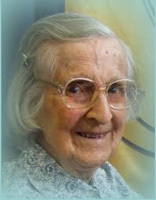 In July 2013 we noted Meta's 75th anniversary as a Lay Marist when she quipped: "When I get to heaven, I hope I don't have to rewrite the lives of the saints!". She had begun her first diary on New Year's Day, 1934, aged 16. Meta is pictured, left, in her characteristic diarist mode / and with her son, Fr Stephen Truscott SM. Click here for Wikipedia's article on Meta. May she rest in peace. Fr John Hannan SM, Superior-General of the Society of Mary, has written to all members with a message encougaring generous participation in the season of Advent and a whole-hearted embrace of the Year of Consecrated Life called by Pope Francis. For the full text of Fr John's letter, click here. The part played by indigenous Australians in our military history is likely to be one of the themes of the combined Marist JPICC event in 2015. 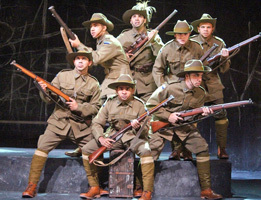 Wesley Enoch's play, 'Black Diggers', recently featured at the Brisbane Festival, helps set the scene. It is reviewed by Sandra Phillips on the JPICC page. 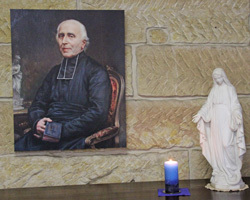 A video produced in Australia on the life of Marist Founder, Fr Jean-Claude Colin, has been published on YouTube. 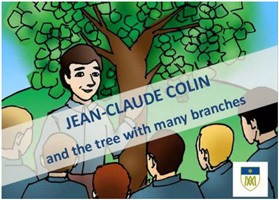 The seven-minute production draws on cartoon images of the life of Fr Colin from the web site dedicated to him, www.jeanclaudecolin.org. It includes a running text with voice-over by young Sydney artist, Rene Ahillon and is featured this week on the Colin website 'What's New' column. 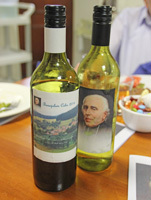 Young Marists in the MAP 'S&L' program joined local confrères on Nov 14 at Villa Maria, Hunters Hill, for a simple celebration on the eve of the anniversary of the death of Fr Jean-Claude Colin in 1875. A pre-prandial gathering was followed by the communal praying of the Colin Year prayer and a simple dinner in the monastery dining room. Features included 'Beaujolais Colin 2014' wine, take-home 'La Neylière' placemats and first-issue icon bookmarks and illustrated Colin mini-biography booklets. While the Catholic Church in Myanmar marks its 500 year-anniversary, one of its prominent scholars, Nant Monica BA Hons, MA, Dip Archeology, is visiting Burmese communities, family and friends in Perth and Sydney. She is a former assistant director of the historical research department of Myanmar's Ministry of Culture and an honours graduate of Rangoon University. In the company of Karen development worker, Gregory Mahn Htun, Nant Monica visited Marists at Hunters Hill on Nov 12, making available her two recent research papers commissioned by Burmese Catholic bishops and recently presented to the Myanmar Bishops' Conference. 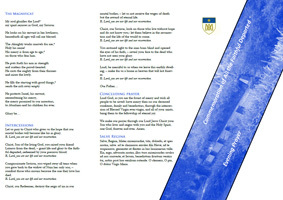 The papers can be downloaded here: 'Myanmar Catholic Church in historical records, 1287 - 1900' and 'Missionaries, Nationalities & Christian Education'. 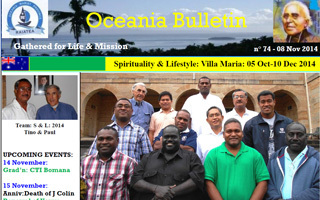 This week's bulletin from the Marist Oceania Province highlights the Marist Asia-Pacific 'Spirituality & Lifestyle' program at Hunters Hill, NSW. 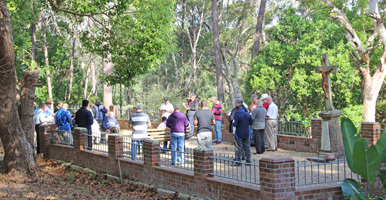 Marists from several local communities joined for Evening Prayer of the Dead in the historic mission cemetery of Villa Maria monastery, Hunters Hill, on Nov 03. 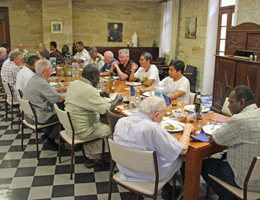 Participants included senior Marists from the 'Montbel/Maryvale' community and younger confreres from the 'Spirituality & Lifestyle' program as well as 'Oceania House' and Villa Maria communities. 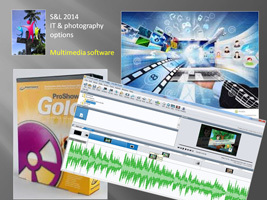 Participants in Marist Asia-Pacific's 'Spirituality & Lifestyle' program have begun a five-week segment of their program which includes the wonders of I.T., computers and photography. 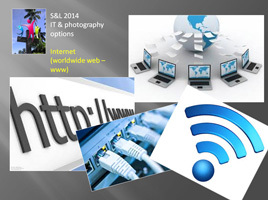 At an introductory session covering a range of I.T. 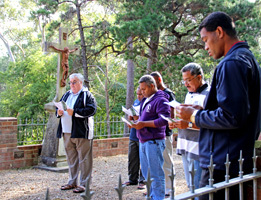 topics the ten young Marist priests from the Philippines and Oceania selected particular areas of interest which they will pursue in guided workshops in coming weeks. 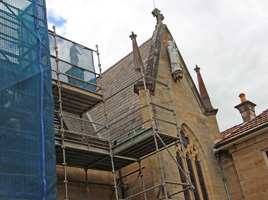 A program of extensive stonework repairs has begun at Holy Name of Mary church ('Villa Maria'), Hunters Hill, NSW. 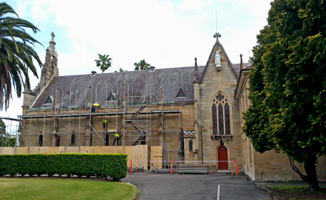 Scaffolding is now in place on the southern side of the historic building as work commences to replace crumbling stone pieces. 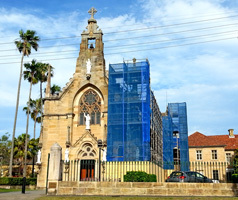 A five-year, $500,000 parish appeal is funding the restorative work as well as upgrading of the parish primary school facilities.